The situation facing our border – mass migration of Central Americans from failed states – is complex and is felt nowhere as strongly as in San Ysidro. The San Ysidro Chamber of Commerce applauds and encourages “Marshall Law” negotiations taking place between the US administration and the incoming Mexican administration – as a long-term solution. Unfortunately, the US sending 5,000 troops to the border instead of 5,000 asylum petition processors, and the Mexican federal government ushering immigrants from Chiapas to Tijuana has left us no choice but focus on the short term. 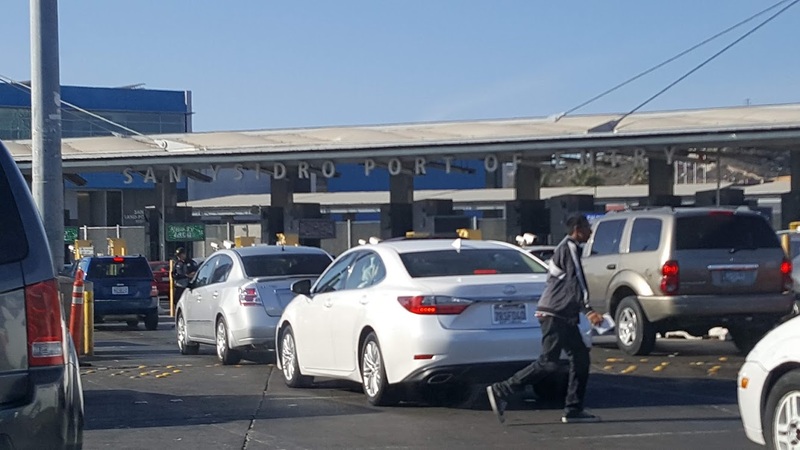 The closing of the San Ysidro Port of Entry yesterday was devastating to the over 700 business we represent. The San Port of Entry was closed at approximately 11:30am yesterday. It was not re-opened until 5:10pm. Our businesses rely on 93% of customers coming from Mexico. 75% of San Ysidro border area businesses closed for the day around 12pm noon. A large majority of San Ysidro’s small businesses rely on the period of November 20-January 6 to make their profit for the entire year. Sunday’s closure alone represents a $5.3 million loss, just from San Ysidro business. Other business, from Chula Vista, to National City, to San Diego and beyond were also affected. Action must be taken to avoid this happening again. The Mexican government, at all three levels, must act to ensure rogue protestors (not asylum seekers in general) are not able to take possession of their port facilities. Videos of yesterday showed riot-gear donned, Mexican federal police simply stepping aside as protestors headed for the US border. This must stop. Mexican businesses near the border are facing the same losses we are. Restaurateurs of Tijuana shared photos of empty tables, on what should be extremely busy weekends. Despite the effect on our entire CaliBaja region, the silence from our elected officials has been deafening. Consequently, the San Ysidro Chamber of Commerce is formulating a petition to the White House for a binational resolution to this matter. The US southern border is a key engine of economic growth; an international trade hub that creates jobs and generates wealth on both sides of the border. Mexico is the U.S.’s third-largest trading partner, the first or second largest trading partner for 26 of our 50 states. Allowing ports of entry to be rushed, allowing port closures, is irresponsible, unacceptable and avoidable. We look forward to the day when we can discuss binational, private-sector assistance for true asylum seekers residing in Tijuana. But we must first ensure the continuous operation of our legal ports of entry. We are thankful to our local CBP leaders for their communications, and relatively quick re-opening of the border. Additionally, their heed to our calls for minimizing the reduction of vehicle lanes – resulting in a loss of 5 lanes, versus their planned 10 – is appreciated. We are also grateful to the San Diego Police Department Southern Division for confirming to us an added security force during the closures in San Ysidro. Unfortunately, this problem was created by politics and must be solved politically. We need our elected official to act.